March 15, 2019. Five hundred of the faithful had gathered for Jumu’ah at the Al Noor Mosque in Christchurch like they did every Friday. At 1:40 p.m., a hate filled white supremacist, affiliated with the alt-right, walked into the mosque, heavily armed. Hello brother, said the first worshipper who greeted him, only to be shot dead. The gunman spent six minutes at the Al Noor Mosque leaving heaps of dead and wounded before driving to the Linwood Islamic Center, five kilometers away. He shot and killed seven people outside the mosque, before a brave worshipper, Abdul Aziz Wahabzadah confronted him, unarmed, and scared him away. The crazed terrorist left behind fifty dead. Several others were injured.August 15, 2012. A small group of Sikhs had gathered at the Oak Creek Gurdwara in Wisconsin, USA. It was early yet and many of the congregants present were there to prepare Langar, the meal that would be served after the service. It was a Sunday, seemingly like any other. The adults worked in the kitchen, and the children ran around playing as their Sunday School was to start an hour later.. That was when another hate filled bigot, armed to the teeth, entered the Gurdwara and opened fire, killing six of the worshippers. Guru Nanak said these anguished words upon beholding the slaughter in Sayyidpur, a small town in modern day Pakistan, when he was returning from his Hajj to Mecca. While he was referring to the depredations of the invader Babar, who would go on to establish the mighty Mughal empire, he could well have been responding to the carnage in Christchurch or Oak Creek. Even though we live in a world that has become inured to such senseless violence, these tragedies cannot but shock us. What can be more heinous than the violation of a sacred space and the senseless slaughter of innocents? And yet we see it again and again, with no end in sight. Do I sound foolishly optimistic? I am not, for I have seen such miracles before. The shootings in Christchurch were not just an attack on the worshippers at the Al Noor and Linwood mosques. It is understandable that every Muslim will feel the pain of Christchurch, in the same manner that every Sikh felt the pain of Oak Creek. Elsewhere, I have shared the story of the Muslim response to the Oak Creek shootings. The generosity of spirit with which the Muslim community and indeed the entire interfaith community responded to Oak Creek was unprecedented and powerful. And it had a huge role to play in the healing that followed. It is far from naive to seek the proverbial silver lining after every tragedy. In that search lies the seed of hope. But none of this happens serendipitously. 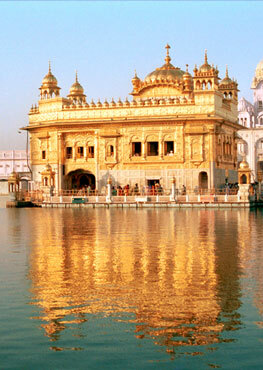 There are many aspects of the faith of Guru Nanak that inspire me and countless other Sikhs. An unequivocal commitment to embracing the pain of the other is by far the most precious to me. Guru Nanak, the founder of the Sikh faith was boldly defining this principle when he excoriated the powerful warlord Babar, for his savagery. The eight Gurus who followed faithfully adopted this principle and strengthened it, often with their blood. Guru Gobind Singh distilled the essence of this principle into an identity and a way of life. He bequeathed the Kirpan upon his Sikhs as a daily reminder of righteous action and the commitment to the eternal fight against oppression. It is incumbent on all people of faith to express their solidarity with the Muslim community during this time of anguish and pain. Whenever we can. Wherever we can. However we can. Let us seek out every opportunity to do this. And let us confront intolerance and bigotry in all of its forms. My final words are addressed to my young Sikh readers. 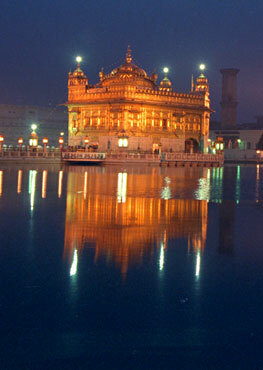 You are the inheritors of the legacy of Guru Nanak and Guru Gobind Singh that inspires us so. And I know you fully understand its import. We the Sikhs will always remember the Muslim response to Oak Creek. What do you plan to do to ensure that our response to Christchurch is no less memorable? Sarbpreet Singh is a poet, playwright, and commentator from Boston. His podcast, The Story of the Sikhs has listeners in eighty countries. He is the author of Kultar's Mime, which tells the story of the 1984 Delhi massacre of the Sikhs in verse. His commentary has appeared on NPR, Huffington Post, Sikhchic, Sikhnet, Boston Herald, Milwaukee Journal Sentinel and Providence Journal. He is the founder of the Gurmat Sangeet Project, which is dedicated to the preservation of traditional Sikh music and serves on the boards of various non-profits focused on service and social justice.